Facebook and social media are key items in a marketer’s tool belt in this digital age. Brands and businesses are coming up with creative and unique ways to leverage the Facebook platform, so we’re talking about a few of the best ones here for you to try out. Fans are rewarded for Liking and engaging with brands, and there are countless coupons, sweepstakes, and contests happening every day on the social network. Though there is a lot of inspiration to draw from, there are a few questions you should ask yourself before you begin a promotion or campaign. Is this idea a fit for your brand? What results are you looking for? How do you want to measure those results? 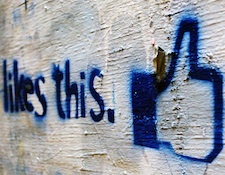 Is the ultimate goal more likes to your page or brand awareness? Once you’ve figured out what you want to accomplish, you can design a campaign that’s perfect for your brand and Facebook. Here are some ideas to inspire you.